Professor Robert Langer of the Massachusetts Institute of Technology is the man we have to thank for Frizz. After he and his team of researchers studied the plethora of straightening creams, sprays and gels currently available they set about creating a product to top them all, something which could keep hair silky whatever the weather, ideally working in 100 per cent humidity. 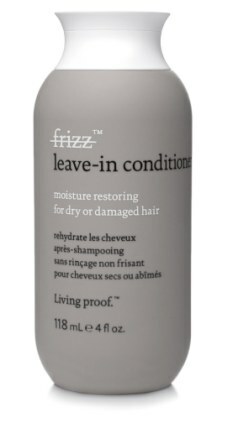 They came up with the Frizz range, which uses a man made water and oil repellent compound known as polyfluoroester. Lighter than silicone each strand of hair is coated preventing water from entering keeping the hair frizz free. It also has the welcome side effect of helping the hair to produce less oil, grease and dirt meaning it is likely you will wash your hair less often. The range includes a number of sprays, creams and treatments for ether curly or straight hair and are to be applied after washing the hair. If you want to get in on one of the biggest beauty advances of the decade you can purchase the Frizz range from Space NK with prices starting at £18.